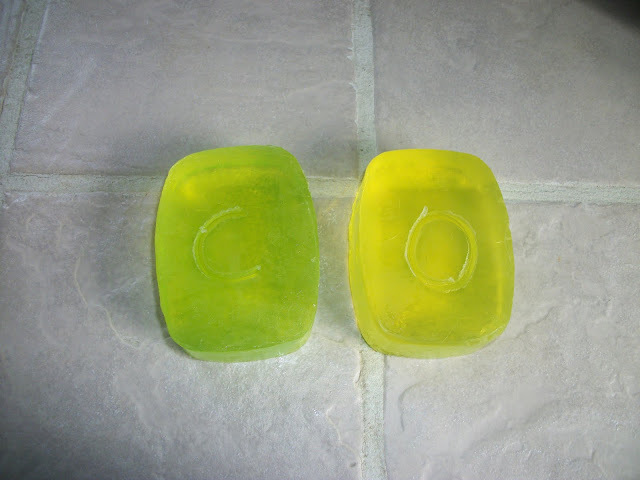 Here is a craft that is toddler and tired mommy friendly. We have a 2 year old son and a 3 year old girl and they LOVED this. Plus our poor wallets loved the price too. When dealing with toddlers who can pick a fight about whose 'whatever' is whose, I went ahead and drew a O for Olivia and a C for Cody on the back. Toddlers! 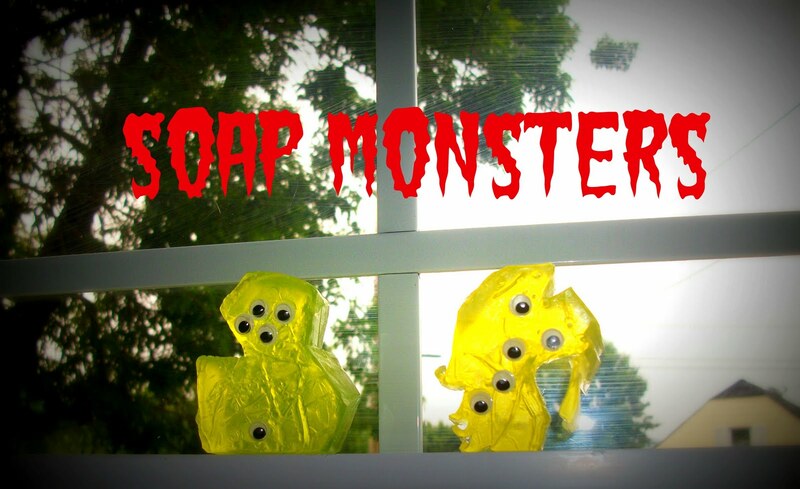 Then just give your little sculptor a pen and let them draw their creature on the soap. For an older kid this could be a very cool piece of art, mine just went bananas. 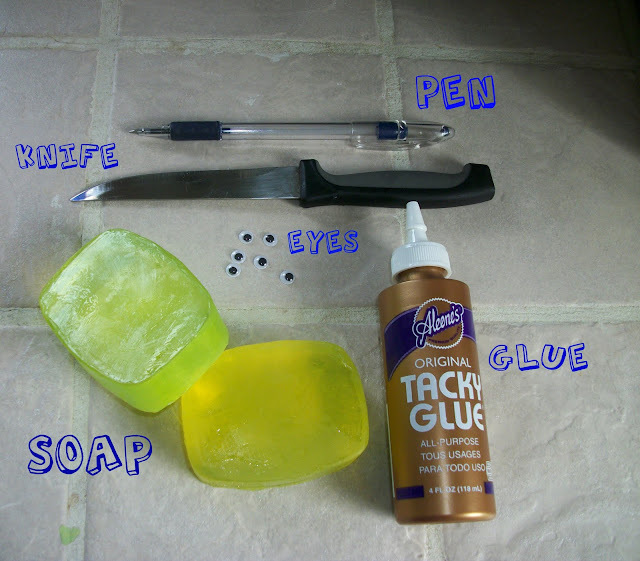 If your kids are young like mine, you'll have to do this step yourself. Just interpret the monsters shape and cut it out. 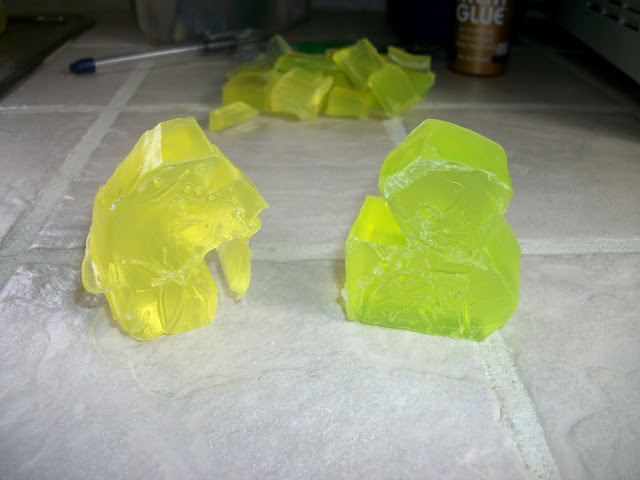 The glycerin soap was sooo easy to cut. 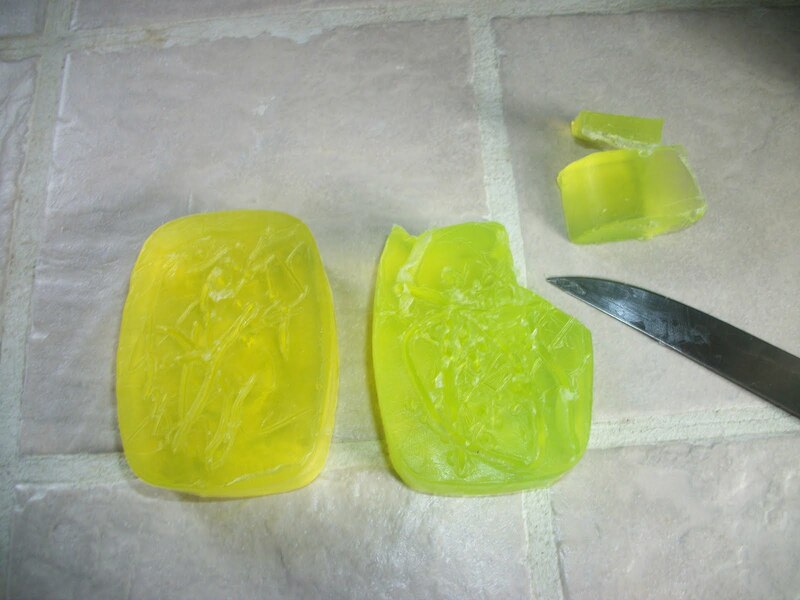 If you have an older kid this could be done by them with a butter knife. All cut out! The kids REFUSED to have their picture taken during this craft. Not even the bribe of marshmallows and hot cocoa could persuade them. Thank you for linking it up at Weekend Warrior! How cool is this?! 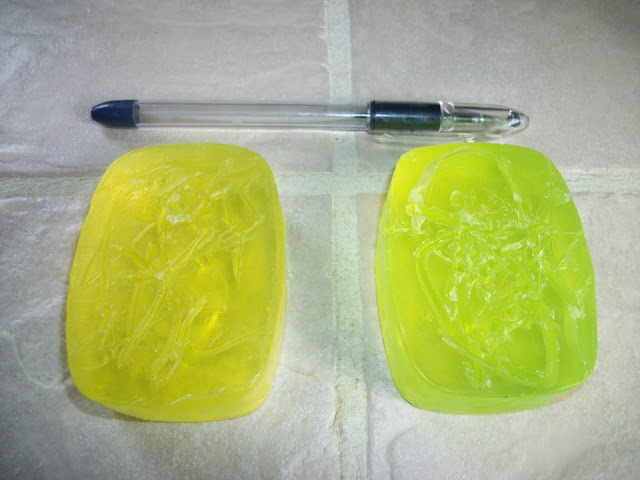 I used to make this type of soap, and it never occurred to me to do anything like this! (of course, I didn't have a kid either) That's genius! My son would go nuts over these. I would love it if you would link up to my Tuesday Confessional link party going on now: http://www.craftyconfessions.com/2011/06/tuesday-confessional-link-party.html. I hope to see you soon! Those are super cute. I bet kids love them. 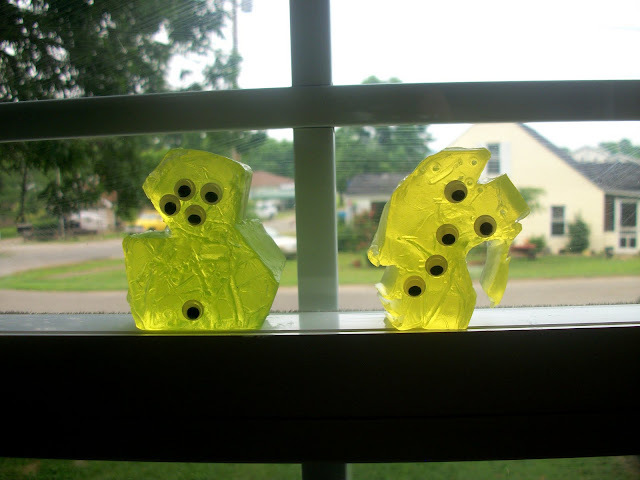 Thanks for linking up to this week's Catch a Glimpse party. Adorable! 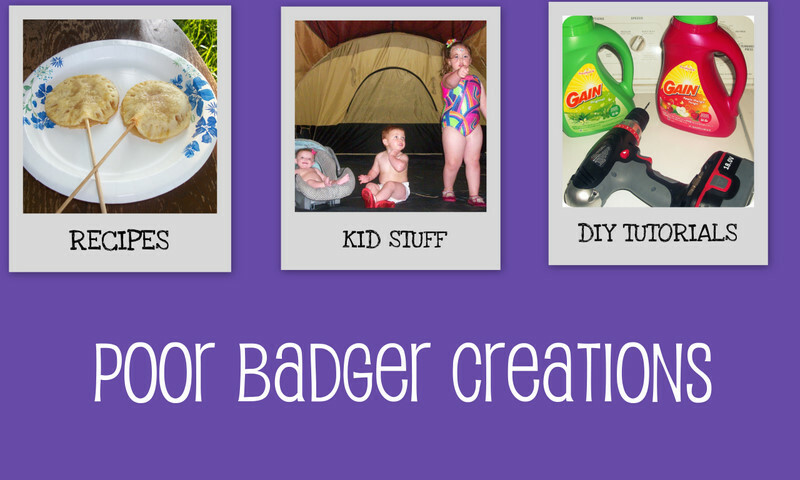 Thanks for linking up and sharing this with the Smart Summer Challenge!